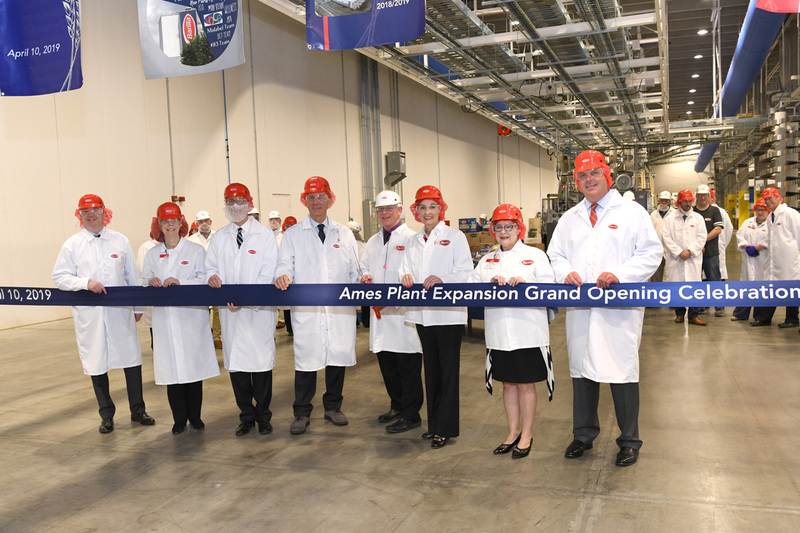 11 Apr 2019 --- Barilla, the Italian family-owned food company, has celebrated the expansion of its pasta plant and integrated durum mill located in Ames, Iowa. This expansion brings the facility's production capacity to 200,000 metric tons of dry pasta per year. Since 2014, the Barilla Group has invested US$27 million in the gluten-free production lines and US$65 million in their expansion of two new lines and associated packaging equipment. A spokesperson for Barilla confirmed that excluding gluten-free products, capacity for semolina products was approximately 125,000 metric tons prior to the expansion, so this is a very significant increase in capacity for the plant. 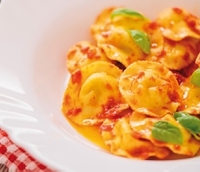 “We will soon begin Red lentil and Chickpea pasta to support the US market,” they noted. Due to the expansion, the company expects to add 41 new employees through 2021. Click to EnlargeBarilla Americas President Jean-Pierre Comte, Iowa State University President Wendy Wintersteen, Ames Mayor John Haila, Barilla Group CEO Claudio Colzani, Barilla Ames Plant Director Larry Covington, Iowa Governor Kim Reynolds, Director of Iowa Economic Development Authority and Iowa Finance Authority Debi Durham, Ames Chamber and Economic Development Commission President & CEO Dan Culhane.Barilla executives including CEO Claudio Colzani joined Iowa Governor Kim Reynolds, Ames Mayor John Haila, Ames Chamber and Economic Development Commission President & CEO Dan Culhane, Iowa State University President Wendy Wintersteen and Barilla Plant Director Larry Covington for a ribbon cutting in Ames, 30 miles north of Des Moines in central Iowa. The celebration and ribbon-cutting signified the completion of two additional processing and packaging lines, a rail-yard expansion and six new silos to store wheat. Italian-headquartered Barilla Group owns 28 production sites (14 in Italy and 14 abroad) and exports to more than 100 countries. Every year, its plants turn out around 1,700,000 tons of food products that are consumed on tables all over the world, under the following brand names: Barilla, Mulino Bianco, Harrys, Pavesi, Wasa, Filiz, Yemina e Vesta, Misko, Voiello and Academia Barilla. 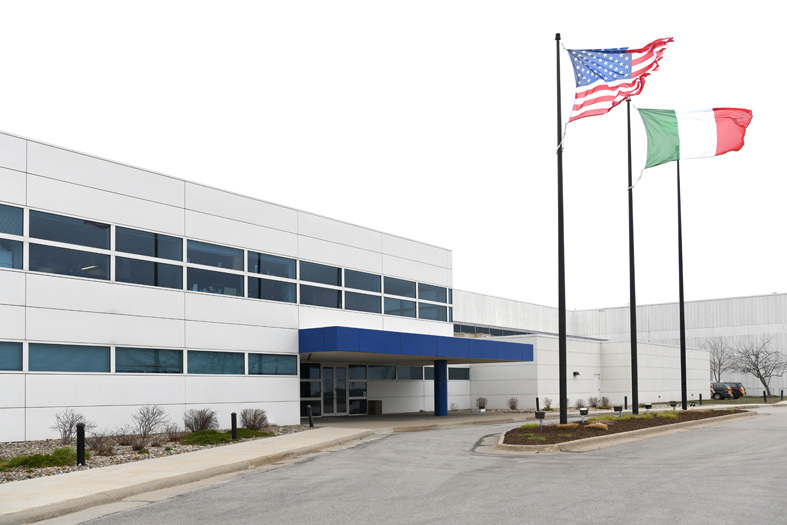 Barilla’s first US manufacturing plant opened in 1998 as a processing plant and integrated durum mill. Today, it is one of the largest industrial properties in Ames. The milling and processing equipment in the Ames plant are the same used in other Barilla plants in Italy, using the same technologies to maintain Barilla’s standards. The facility has undergone two expansions. Click to EnlargeFront entrance to the Barilla’s Ames pasta plant and integrated durum mill.In 2015, the company added two gluten-free pasta production lines and in 2019, it has now completed work on two additional processing lines, a rail-yard expansion and six new silos to store wheat. All the wheat used in the facility is sourced from North America. Barilla is also involved in supporting external innovation within this space. The company was recently involved in US$750,000 seed round funding for food ingredient startup Planetarians. Participation came from Barilla Group's BLU1877, Techstars, SOSV, The Yield Lab and group of angel investors. Planetarians is an ingredient tech company, upcycling byproducts and solid food waste into high-protein, high-fiber ingredients that allow brands to create products that appeal to customers who want “better-for-you, better-for-the-environment” foods. Planetarians’ technology sterilizes, destroys anti-nutrients and functionalizes fiber in one step. The company’s functional protein flour made from upcycled defatted sunflower seeds has 3 times the protein and 2 times the fiber at the same cost of wheat flour. A video interview about the technology can be found here. Going gluten-free: Is there a conflict between wheat & gluten?